Handicapped parking signs mark spaces provided for handicapped individuals. 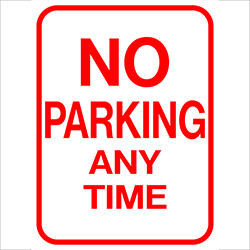 Provide easy and convenient parking for handicapped individuals. 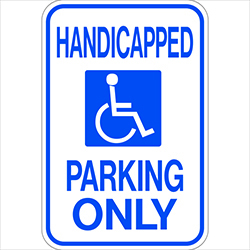 Eye-catching design with widely-recognized handicap symbol for easy identification. Use near entrances and exits for ease of access. 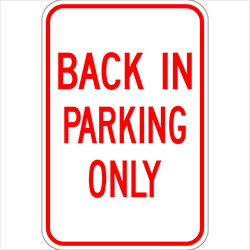 Pick from Non-Reflective, Engineer-Grade (500-ft visibility), and High-Intensity (1,000-ft visibility) reflective handicap parking signs. Pre-drilled with holes for quick installation. 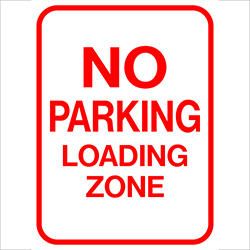 Wording reads: HANDICAPPED PARKING (with handicap symbol). 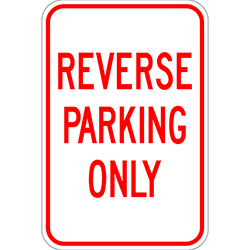 Be the first to review “Handicapped Parking Signs W Symbol” Click here to cancel reply.